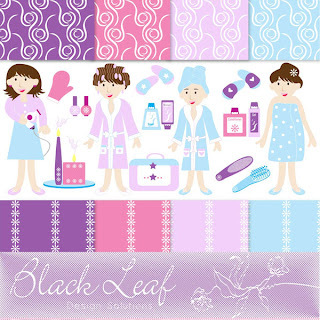 Heres an adorable and suave set of Spa Graphics with co-ordinating spa accessories and patterned backgrounds. The set is an ideal choice for creating those swanky looking invites, girls nights, party decorations, embroidery patterns or wall decor. The set comprises of 25 graphical elements that are ready to adorn your crafty creativity.